Our August instalment of the celebrating votes for women series introduces some of the women scientists who joined the Central Veterinary Laboratory (CVL- APHA’s predecessor) in the 1950s and 1960s and how their work in the fields of bacteriology and virology, in particular, contributed to a new understanding of many diseases of economic, zoonotic and political importance. 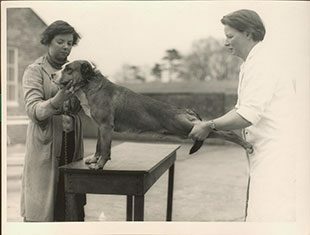 Annie I. Littlejohn lifting the hind legs of a dog, assisted by an animal attendant (1954). Photograph courtesy of The University of Liverpool Library. Annie was an Auxiliary Territorial Service Sergeant during the war, before being awarded her BVSc degrees with honours in 1949 from the University of Liverpool. Until that time, only one such honour had been awarded by the university. After graduating, she became a lecturer in veterinary medicine (farm animals) in the Department of Veterinary Surgery at Liverpool before moving to the Animal Diseases Research Association, Moredun Institute, in Edinburgh. One of the first female veterinary research officers at CVL when she started in 1958, colleagues fondly remember her as ' character'who had to defend herself in a male dominated environment. While at CVL in the 1950/60s, she was involved in the production of a vaccine for enzootic abortion in ewes. Gwyneth Lewis, date likely 1945. Photograph courtesy of the Royal Holloway Archives. Gwyneth attended Ipswich High School before going into ‘war work’ with BX Plastics. She enrolled at Bedford College (now Royal Holloway College, University of London) in 1945 taking classes in Chemistry, Physiology and Zoology before specialising in Chemistry. She obtained a BSc in Chemistry 1948 and then went on to do 2 research years in Chemistry from 1948-1950. She joined the biochemistry department of the CVL, Weybridge, in 1950. Gwyneth provided a laboratory diagnostic and advisory service for nutritional problems, metabolic diseases and diseases caused by a wide range of toxic chemicals. In particularly, she worked closely with Ruth Allcroft (whom you may remember from a previous post) on copper toxicity in livestock. In her obituary in the Veterinary Record, it was noted that “in these fields, she was the first port of call, not only for the Veterinary Investigation Service but also for general practitioners”. The depth of her knowledge on a wide variety of matters relating to animal health was such that many colleagues were surprised when they discovered she was not a veterinary surgeon by training. She published on a variety of topics including urolithiasis in otters, groundnut poisoning in chickens, vitamin A deficiency in penguins and the pathogenesis of delayed swayback. Her outstanding contribution to the veterinary profession was recognised through the conferring of an Honorary Associate membership by the Royal College of Veterinary Surgeons in 1985. Gwyneth retired from the CVL in 1983. Margaret graduated from Berkeley’s School of Public Health in 1945. 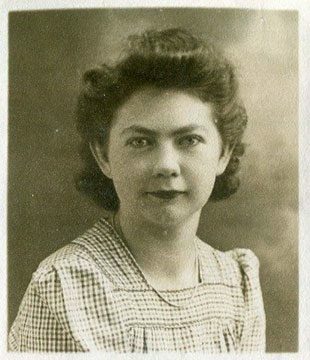 In 1947, she started being involved in brucellosis research at the University of California (UC) Davis and stayed with that research topic for her entire career. While working full time, she studied between 1958 and 1961 towards a PhD, writing her thesis on the taxonomy and epidemiology of Brucella spp. and becoming the first woman to obtain a PhD in comparative pathology at UC Davis. In an extended interview in 1974 during which she passionately talks about her 30 years of research on brucellosis (I thoroughly recommend listening to the audio recording), Margaret recalls that soon after finishing her PhD, a Mr Field from CVL Weybridge was visiting UC Davis for half a day but ended up having to stay for an entire week as a result of a strike of the local airline pilots. Not knowing how to keep him busy in the meantime, she sent him to the library to read her thesis. He soon asked her to come to Weybridge to continue her work on the development of methods for typing Brucella spp. The methods she had started to establish were based on oxidative metabolism and allowed scientists to distinguish the 3 main Brucella species and several biotypes geographically limited to certain hosts for the first time. The UK at the time was dealing with a Brucella melitensis problem (or so it was thought) in cattle and CVL was hoping that the new methods may be able to determine whether they were indeed dealing with B. melitensis or a new biotype of B. abortus. Margaret came to the UK on an 18 months secondment to the Ministry of Agriculture, Fisheries and Food sponsored by the World Health Organisation, a time which she later described as 'a glorious period', being given access to Brucella isolates from all of the Commonwealth countries, other parts of the world, and from all known hosts. Paper by Margaret Meyer published during her time at CVL (WHO bulletin). Despite her return to UC Davis, Margaret remained a consultant with CVL, collaborating and publishing on novel Brucella strains with CVL scientists over several decades. Until Margaret’s seminal work during her PhD and her time at CVL, in the absence of a uniform and agreed upon method to identify Brucella species, the epidemiology of brucellosis had remained a mystery and the identification of reservoirs or the tracing of routes of infection from source to cases of the illness were nigh impossible. Widely recognized worldwide as one of the first experts in veterinary public health, Margaret was a true pioneer, often the first woman in the United States to obtain various statuses and awards in the veterinary and academic fields as testified by the touching obituary published by UC Davis in 2010. Less is known about Sheila Cartwright, one of the early veterinary virologists starting at CVL in the 1960s. 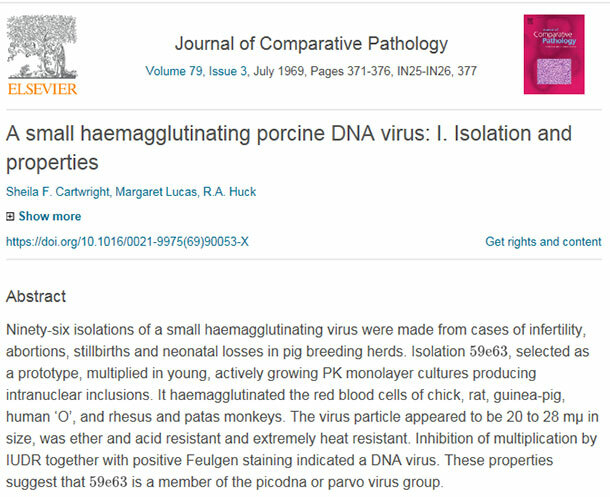 Previously working at the Institute of Animal Health (now The Pirbright Institute) on the foot-and-mouth virus and its multiplication (she published her work in the highly esteemed Nature journal), she contributed to the pool of knowledge on the epidemiology and control of many viral livestock diseases of important to the British industry such as Aujeszky’s Disease, porcine parvovirus and enterovirus infections in both cattle and swine. 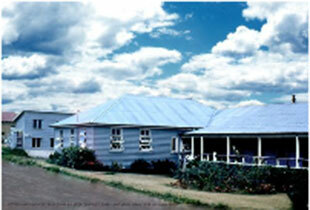 Photo of the veterinary school at the University of Queensland as Margaret Lucas would have known it in the 1950s (courtesy of the University of Queensland Library). Margaret graduated as a veterinarian (BVSc) in 1959 from the University of Queensland, the eighth woman to graduate from that university. “She was the sole woman in her year throughout the course, her quiet presence and wry sense of humour providing a beneficially leavening influence on her male colleagues, all of whom held her in the highest regard.” (Obituary in Australian Veterinary Journal Volume 86, No 9, September 2008). Margaret then undertook another degree, this time a BSc in microbiology, while working for the Animal Research Institute of the Queensland Department of Primary Industries. A keen learner, she then decided to leave Australia for London to complete a diploma of bacteriology at the London School of Tropical Medicine and Hygiene in 1965. The following year, she joined the CVL at Weybridge to work in the porcine section of the virology department with Sheila Cartwright. Sheila Cartwright and Margaret Lucas co-authored several scientific publications together. 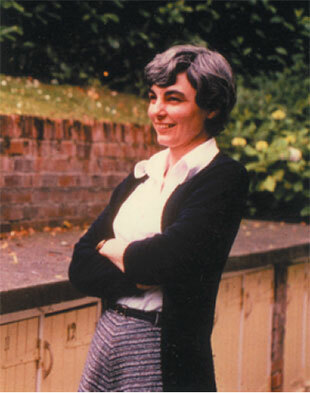 In 1977, she was promoted to senior research officer in charge of the ruminant and equine section (where she stayed until her retirement in 1994), which included a large diagnostic unit where the incidence and prevalence of many viral infections of economic, zoonotic and political importance were monitored. 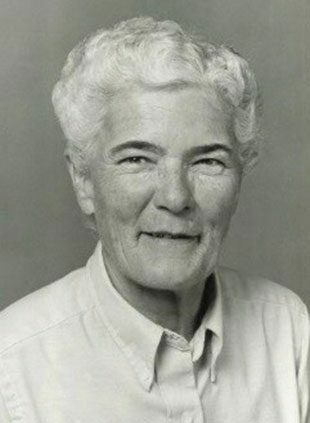 Over the course of her 30 years career, Margaret’s research greatly contributed to improving diagnostic tests, including the use of bulk milk samples as herd tests, and understanding the pathogenic mechanisms of viral diseases, such as enzootic bovine leucosis virus and rabbit haemorrhagic disease virus, in order to improve disease control programmes. Acknowledgements: Adrian Whatmore, John Wilesmith, Jeanette O'Shea (University of Queensland Library), Helena Clarkson (RCVS Knowledge), Gill Harris (BMJ), Harriet Costelloe (Royal Holloway archives) and Michaela Garland (Special Collections and Archives, University of Liverpool).